Installing Solar Power is a great way to reduce your electricity bill, and reduce carbon emissions. 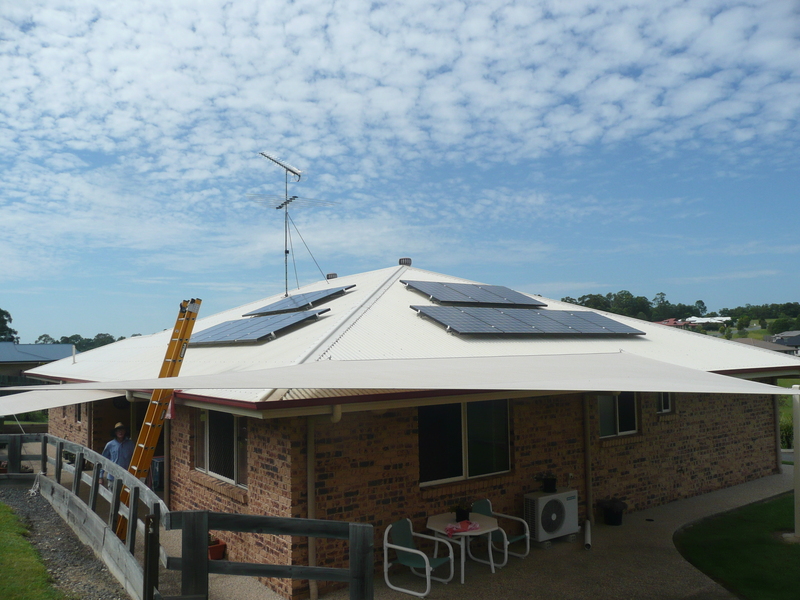 We are a local Sunshine Coast business, committed to installing high quality Solar Power systems. 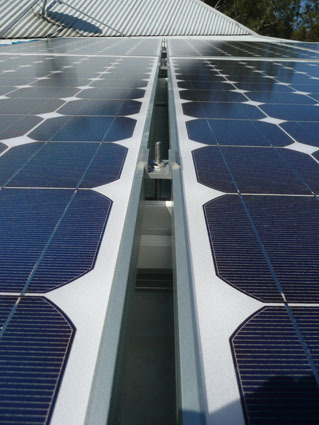 The QLD Solar Bonus feed in tariff has recently changed, only people who are already connected under an existing Network Connection Agreement from Energex can get payed the 44c / kWh feed in tariff for excess electricity that is fed to the grid. Unfortunately, any increase to inverter capacity or addition of batteries to these existing systems will render you ineligible for the 44c / kWh feed in tariff. New customers wishing to grid connect will need to negotiate a feed in price from their electricity retailer, typically they will only receive 6c / kWh (although some retailers are offering a few cents more) for excess electricity that is fed to the grid. Due to the very low financial benefit of feeding your excess solar energy to the grid (now only 6c / kWh) Hybrid (grid connect with batteries) systems are useful for storing electricity generated by your PV system during the day, so that you can use that energy during the night time (your cost savings are now made at the rate you pay for electricity (typically 26c / kWh). For Hybrid and Off grid systems we recommend Selectronic SP pro bi-directional inverters. Selectronic are Australian made and have features that other manufacturers simply don’t have. Scott is now an accredited Selectronic SP Pro Integrator, which gives additional factory warranty on registered Selectronic SP pro systems. Typical Pricing for Sunshine Coast customers can be found on the following link to our “Pricing Solar” page. 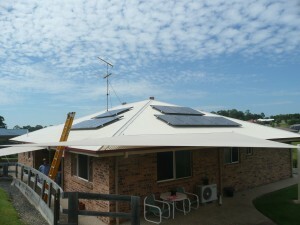 A drop down menu under the Solar Power tab above gives more info regarding installing Solar Power on the Sunshine Coast. A drop down menu under the Products tab above gives more info on Solar equipment that we use on the Sunshine Coast. View Real Data – Real Data from 3.78kW Voltmaster PV Solar installation. This data is regularly updated by one of my customers who had us install a 3.78kW Kyocera PV system at Southside – Gympie. This system comprises a twin MPP 3.6kW Aurora inverter (with data monitoring), and a split array on both the North East and North West roof. Once you open the linked webpage (above), links under the graph are relevant to this installation. Check current pricing on our Pricing Solar page. Contact Us, to arrange your Solar Site Analysis (note – fees apply for this service, refer to our Pricing Solar page for more info) and receive your quote. Sign the relevant contract paperwork, pay the initial deposit and submit an “Application to Network Connect an Inverter Energy System” (F1003) to Energex (We will help you fill out this form). Once Energex approve your application you will also need to sign an agreement with Energex (view Energex’s example “Network Connection Agreement”.pdf) before we schedule your job. (If in the unlikely event, Energex refuse your application, your deposit will be refunded in full). Energex also have a customer’s guide which is worth reading. When the job has been completed, we finalize the relevant Forms (we help you with REC paperwork), give you our Certificate of Test and submit Forms to Energex for a change to reverse energy metering – (Balance payments are to be payed on job completion). Energex install reverse energy metering for the Photovoltaic “Solar Bonus” tariff and you start making savings from your solar powered generator. Renewable Energy Certificates (REC’s) if they have been assigned to yourself, are sold via an REC agent (unless you are keen to take care of all the paperwork yourself). See ORER’s website for details.